The Satilla River Water Trail is located in southeast Georgia. 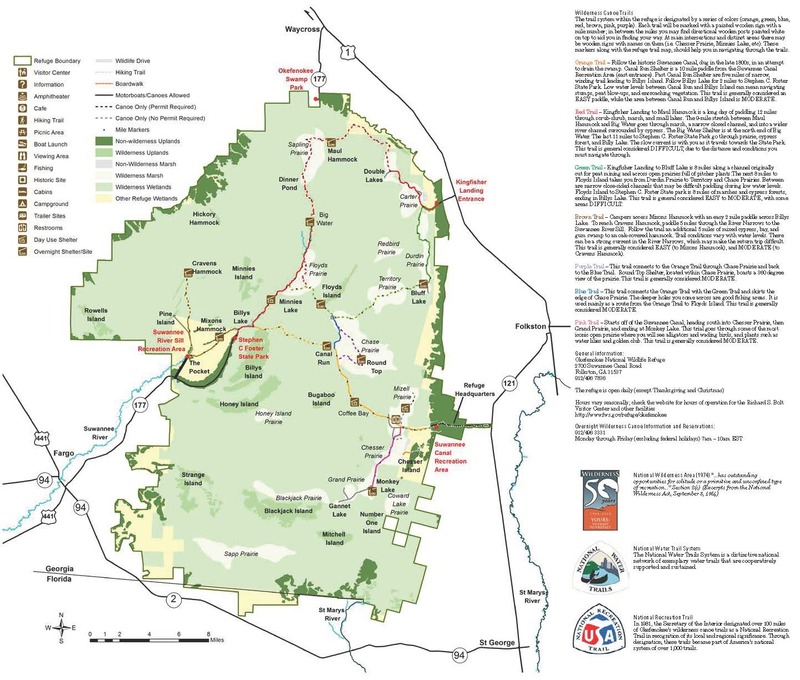 The trail is approximately 140 miles long, beginning in Jamestown, and continuing downstream to the city of Woodbine. 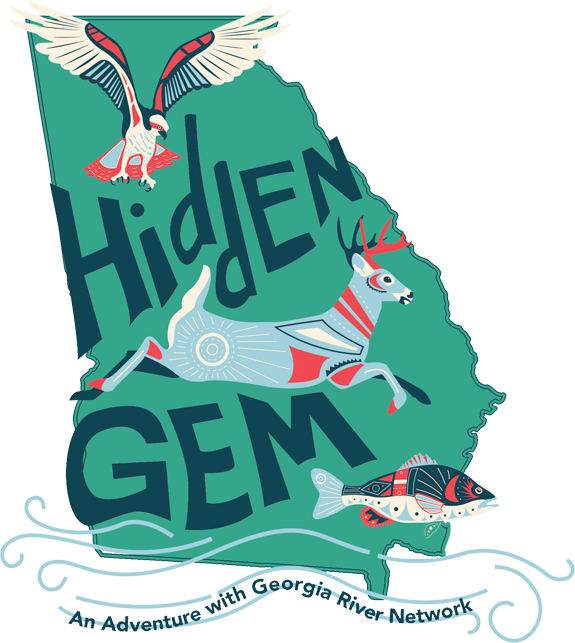 We invite you to experience the wild beauty of the Satilla River, and the plants and animals it supports. 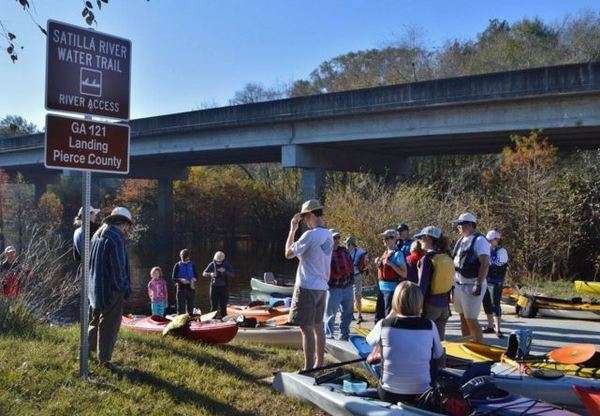 The mission of the Satilla River Water Trail partnership is to encourage residents and visitors to celebrate the historic, scenic and environmental richness of the beautiful and unique Satilla River. Through designation of our water trail we hope to promote eco-tourism through outdoor recreation, events for paddlers and river enthusiasts, and maintaining a family friendly environment on our river. The Satilla River Water Trail Partnership created, maintains, and will continue to build the Satilla River Water Trail. This partnership consists of both city and county government agencies and other local non-profit organizations. Waycross (Ware County); Blackshear (Pierce County); Hoboken, Nahunta, and Atkinson (Brantley County); Folkston (Charlton County); Waverly, Woodbine, and Kingsland (Camden County). Satilla Riverkeeper, Blackshear Main Street Program, Georgia River Network, Northeast Georgia Regional Commission, Pierce County Chamber of Commerce, Serva Creative, City of Waycross, GA DNR Wildlife Resources Division – Waycross, Camden County PSA, Pierce County Industrial Development Authority, Brantley County, Savannah Presbytery, Charlton County, Ware County, Pierce County, Okefenokee Adventures, ATC Broadband, Image Doctor.